I would like to thank David from qdc for providing me with the Gemini in return for my honest opinion. Chinese audiophile products, affectionately dubbed ‘Chi-fi’, are storming the portable hi-fi scene. The majority falls in the affordable segment, rivaling previously established companies; but there’s also movement in the upper-end. qdc has been around for a while, but managed to remain somewhat of ‘well-kept secret’ in the West. But don’t let that fool you, as qdc is currently topping the sales in Eastern-Asia, gaining respect for their quality products, and musical line-up. It’s time for The Headphone List to take a look at their flagship offering; the qdc Gemini, boasting 8 BA drivers and versatile bass switch. There’s no other way to put this; the Gemini’s packaging is nothing short of spectacular. I’ve mentioned I’m not one for packaging and accessories before, but then again, I had never unboxed a qdc before. 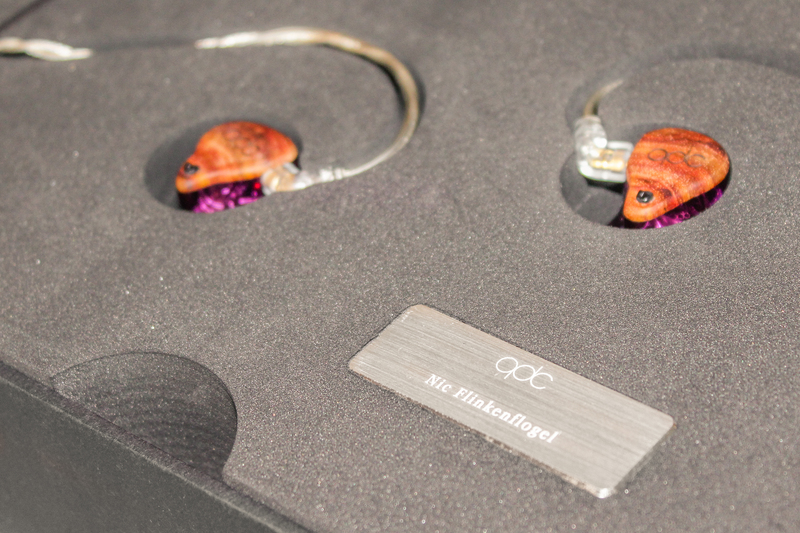 The qdc is delivered in a large black and gold colored box, similar to what you’d receive a high quality DAP like the Lotoo Paw Gold or an A&K offering. When slid open, it reveals the Gemini nested in two apertures for the earphone pieces. The other accessories, a cleaning tool and two adpaters, are tucked away neatly in a separate enclosure of the box, alongside an orange leather-look carrying case. It’s a very classy packaging as a whole, and one that really makes a statement – this is a high quality product. For the price you’re paying, this might seem as a reasonable expectation, but it’s an outlier rather than the standard in the custom in-ear market so far. But it’s not just the Gemini’s unboxing experience that stands out; it’s delivered with a quality stock cable. They offer a selection of cables as choice, including a regular copper, SPC or hybrid cable as options. In my case, it came with their premium SPC cable; a beautiful cable to behold. The dark gray jack and splitter contrast the silver-colored Litz wires, which are twisted together, rather than braided. The top connectors are finished off with sturdy memory wire that easily bends at your will, while staying in place. Truly a quality cable, and one of the finer stock cables I’ve come across so far. in addition, qdc is earning their mark when it comes to build quality, and is already being reckoned amon the elite. This is also reflected in my pair. Not only are the shells free of air bubbles and completely smooth, the silver-colored internal wiring is neatly ordered in bundles along the side. For design options, qdc has a build simulator online. Even so, the different combinations don’t come out as particularly flattering, so I resorted to googling images online, and eventually found the one I ended up with. 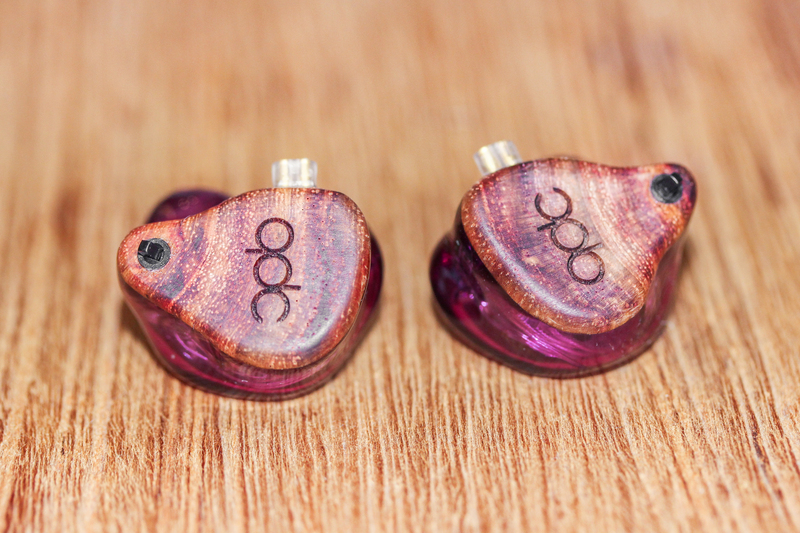 The design I chose is a purple shell with wooden faceplate with purple touches. 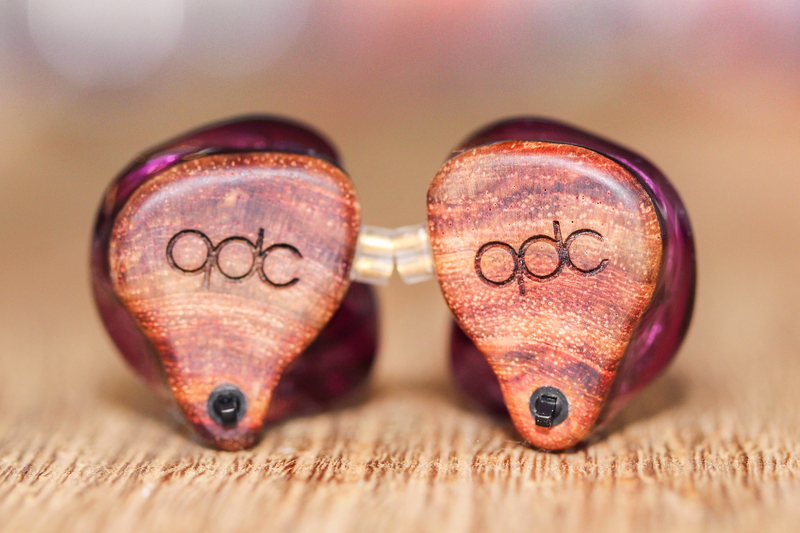 But again, qdc demonstrates doing things a little differently, as the wooden faceplate isn’t covered with an acrylic protective layer; rather, the real wood is open, giving a more authentic feel. The qdc logo is carved out directly. A very nice design, and truly representative of their ability. Have you tried any other iem that has similar quality of the Gemini where it can maintain neutral-ish sound with good technicality while being musical? Hi Nic, Lau here. Great review, good job! The designer page has a link in English, I thought it might be useful for readers. Before anyone bothers you in the thread, I shall ask first haha: is this top 5 shootout material? Thanks Lau, I updated the links! Google always auto-translates but this is indeed better. Also, it was because of your impressions Gemini piqued my interest, so you can take credit for this review happening hehe. I would say the top 4 (including VE8) is pretty fixed at this point, but Gemini would be a nice alternative to iems as UE18+, Samba, Maestro V2, etc. Its separation and imaging could be a bit more precise in comparison with the top. However, in terms of signature, Gemini offers a musical sound that can easily compete with any iem. For instance, I can easily see people preferring Gemini over Zeus or 5-Way due to its playful sound and sparkle, so as usual it will depend on preference.